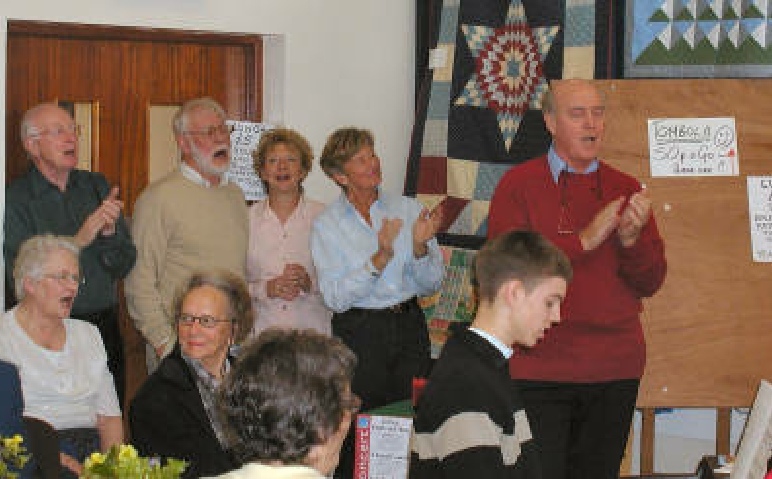 Every year the Choir typically will do fund-raising for the expenses we face in putting on our concerts. 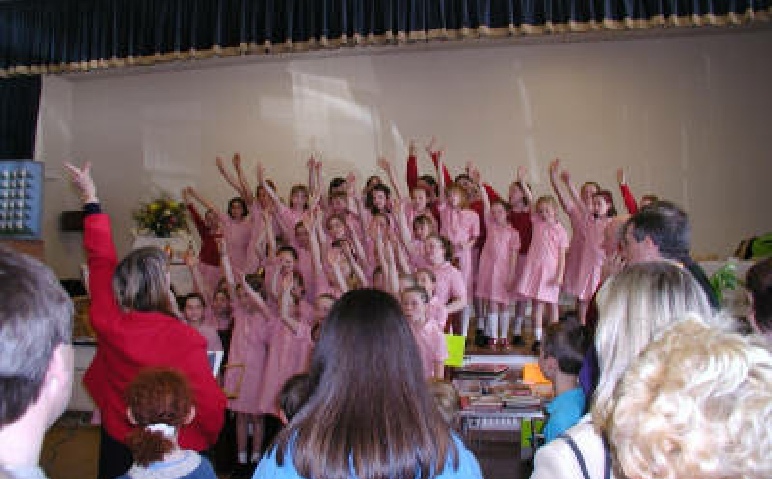 In 2002 we had a Spring Fayre with a difference when the girls of Girls College Prep school choir entertained us. 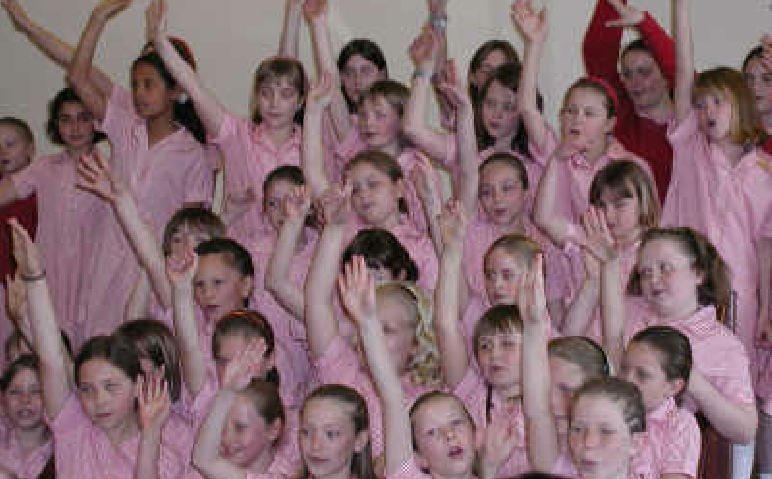 Choir members were seen singing along!